Sometimes a “Last Night” is a memory of utter bliss – of precious joy, but more often those memorable “Last Nights” …are times of anguished hurt.. followed by seasons of deep pain. Pain for self, oh yes – but how much more, pain for the other. Pain when you find yourself tormented and in deep sorrow… Stunned into disbelief, paralysed by grief, when you thought your heart would break. 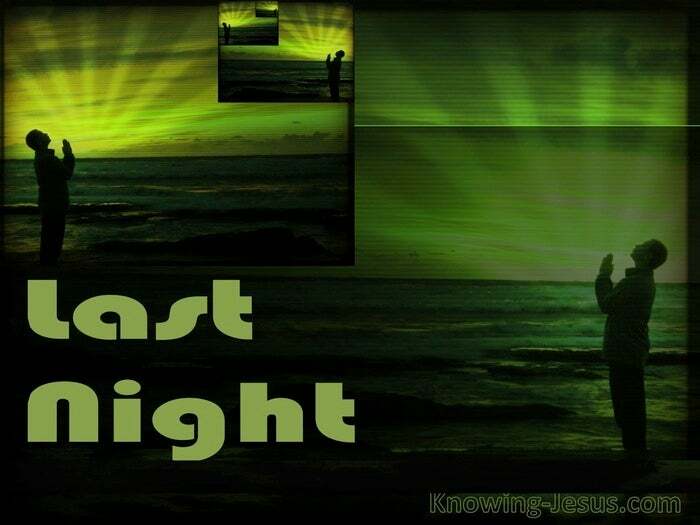 “Last Night” when you found yourself betrayed – betrayed by a friend you love. Where love is wounded to its core.. where trust is tried to its bitter limits.. where hope seems dashed to the stony ground.. where joy seems ground to the dust of ashes – where patience screams forgive!! forgive!! forgive. The subject of a breech of trust.. the object of a cruel joke.. There are many “Last Nights,” when hearts break. “Last Night” has been played out many times over. “Last Night” has been the experience down through the ages. That Last Night brought bitter weeping.. but Joy cometh in the morning. Psa.30:5 Hallelujah He is Risen. 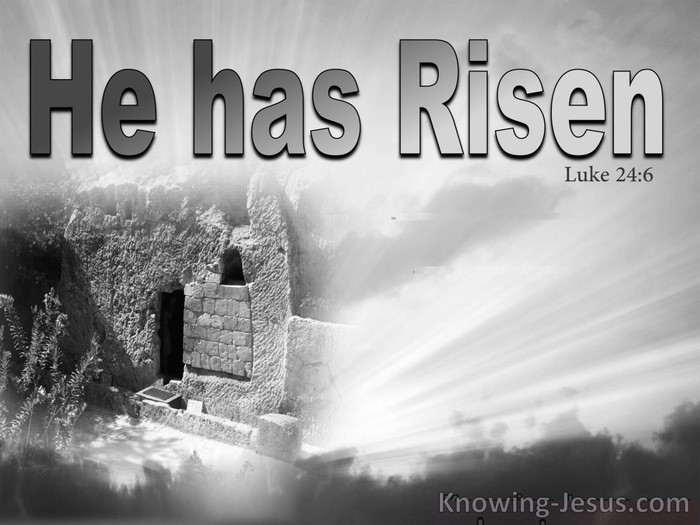 He is Risen Indeed Hallelujah Matt.28:1-10.